1. Select which character design you would like in the character drop down. 3. 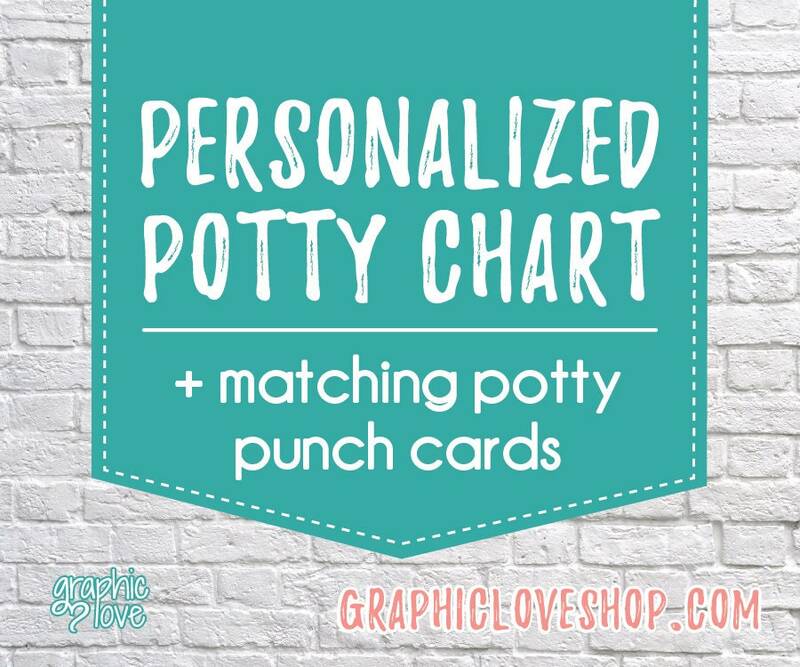 When I receive your order confirmation I will personalize your chart & cards. Once I have the proof ready I will send it to you in an Etsy conversation for you to check it for any spelling errors or to see if you want anything changed. 4. Once you approve the design I will send you the final files without a watermark. If have any problems please let me know. 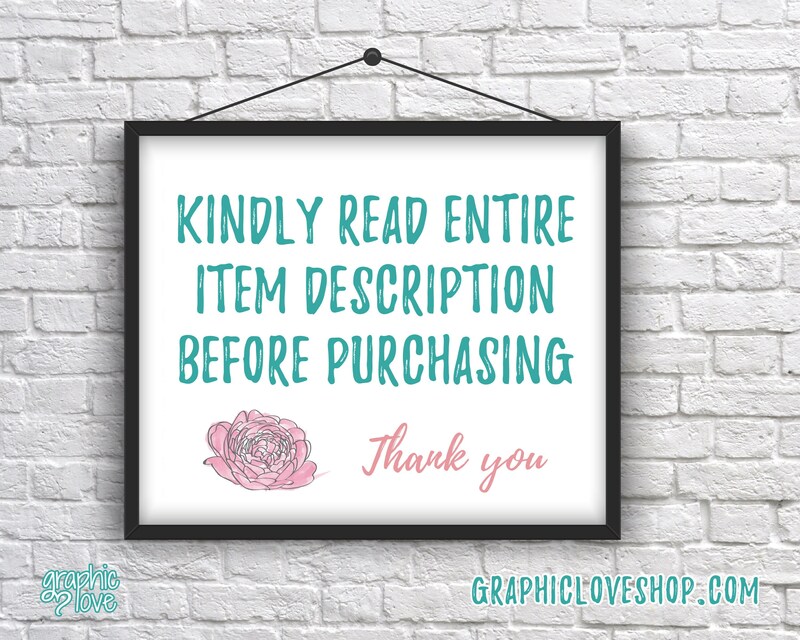 Making sure all of my customers are happy with their purchase is my ultimate goal. 5. 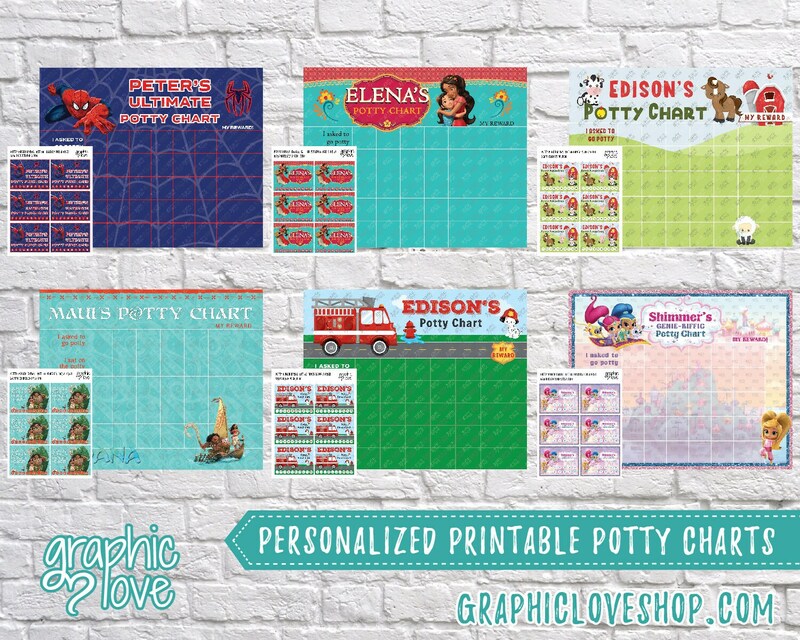 Once you receive the final design you can print as many as you need, anywhere you choose (Shutterfly, Walmart, Vista Print etc) or from your home printer. 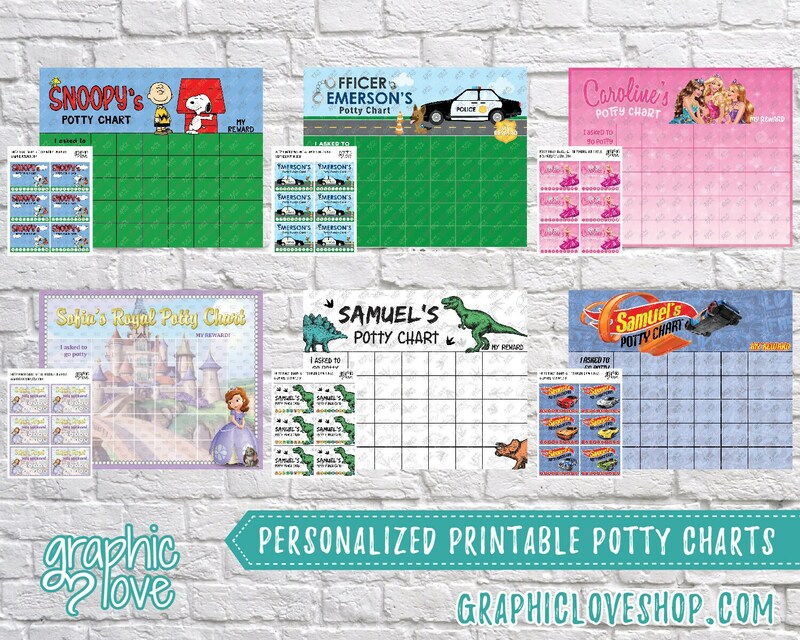 *I recommend printing at home with potty charts as I have had customers say they had some problems with some places not wanting to print. 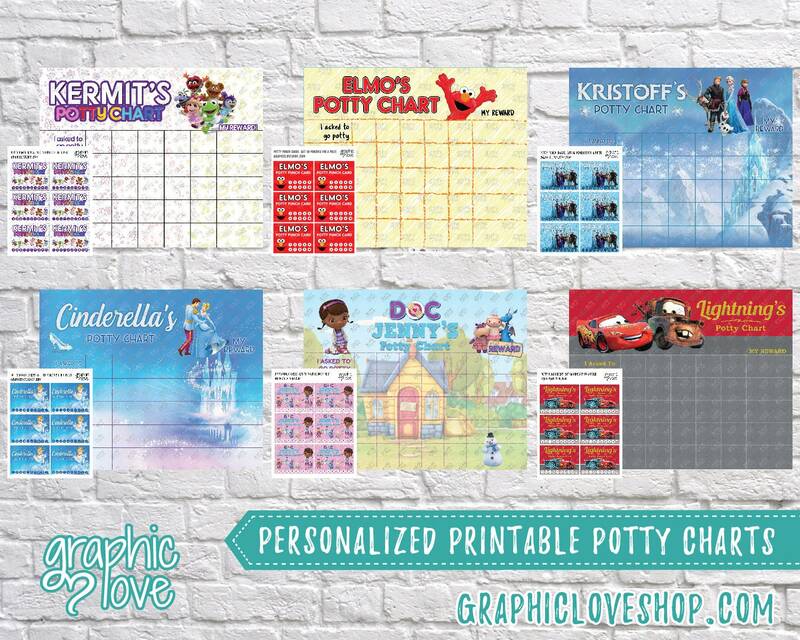 If you cannot print at home send me a message I would be happy to print and ship a set to you! 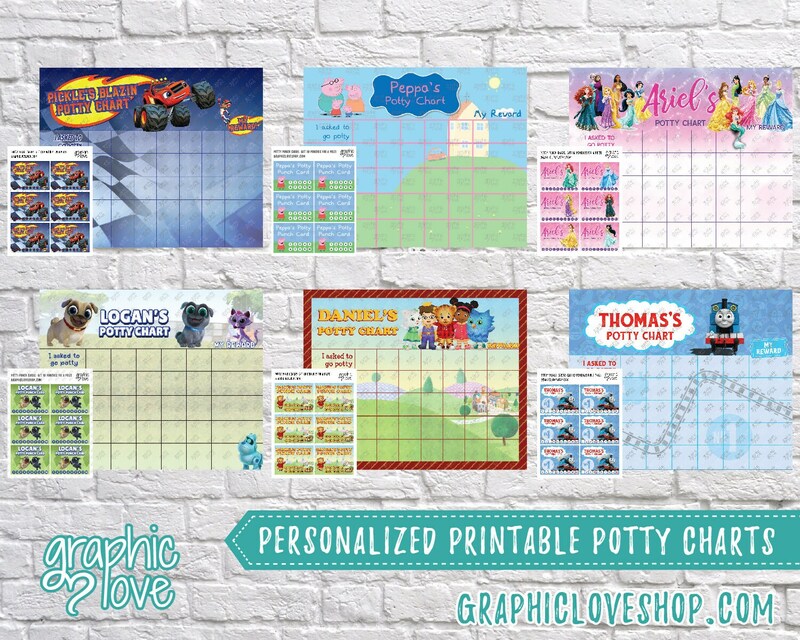 I ordered a customized blaze potty chart with my son’s name. I received the file quickly after I verified the proof was correct. It printed beautifully on card stock and my son enjoys marking his progress with stickers To work his way up to a reward. It has been a great incentive for potty training. Awesome product! 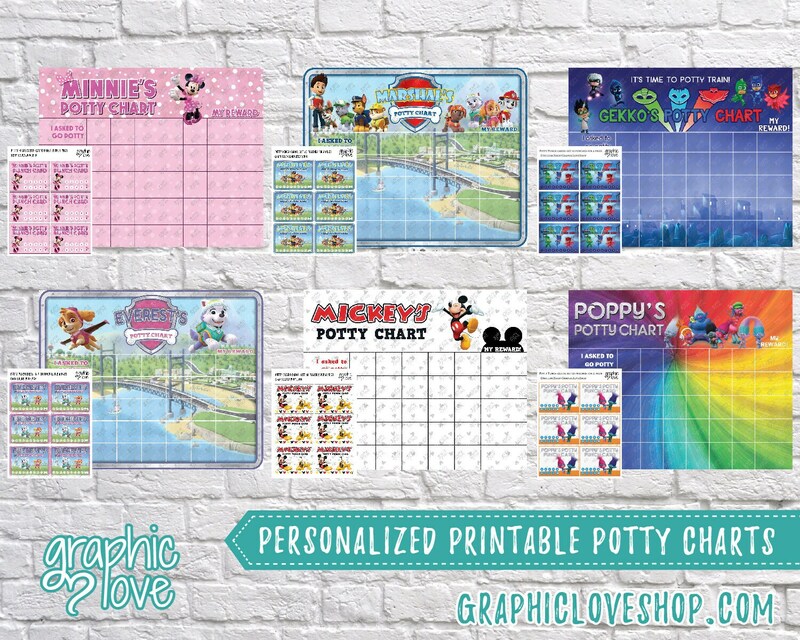 Love how there’s so much more to it than a standard potty chart!